Basic looks for monochrome lovers. 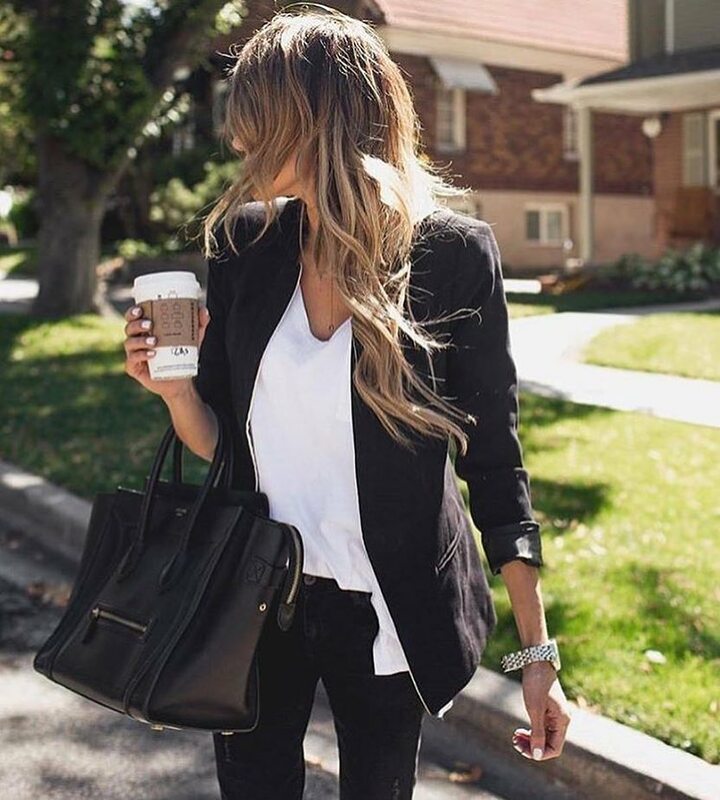 We see a black blazer styled with a white slip tank top teamed with black skinny jeans. A perfect smart-casual OOTD for ladies who want to underline their simplicity.